1. 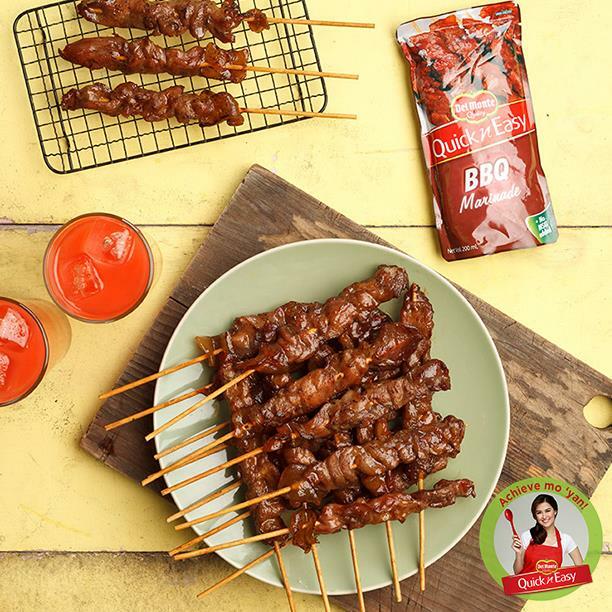 Marinate pork in DEL MONTE BBQ Marinade for 30 minutes or overnight in the refrigerator. Thread every 5 to 6 pcs of meat on barbecue sticks. Return to marinade. 2. Place barbecue on grill over live coal or pan-grill with oil, turning occasionally until done on both sides. Tip: Prepare recipe in 1 batch but cook only desired quantity. Store remaining pcs in the freezer for future use.